The initial intake of the Cannabis Retail Specialist program starts on May 13, 2018. College of the Rockies’ is responding to the anticipated 2018 legalization of cannabis with a training program for those who will work in the industry. The Cannabis Retail Specialist program will be offered four times per year, with the first offering, administered by the Creston campus, taking place in May 2018. 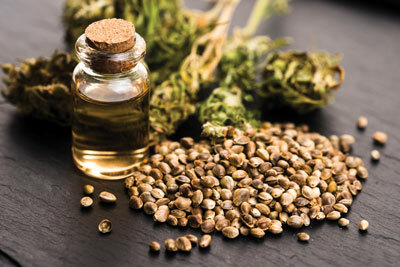 The 26-week program will introduce participants to chemical components, strain characteristics, potential medicinal applications, regulatory requirements, cannabis preparation techniques, and methods of administration. The program content is fully online, making it accessible anywhere in the country. The program is the first cannabis training program in Canada to include a practicum component in a retail outlet and prepares students to interact with both retail and medicinal cannabis consumers. Program content is appropriate for employment in cannabis retail outlets as well as client care services through licensed producers. Though current proposed BC regulations state medicinal cannabis will only be available through licensed producers, it is anticipated that those looking for cannabis for medicinal reasons may also choose to purchase it from cannabis retail outlets. The College is incorporating medicinal cannabis content to ensure that those working in retail outlets have some knowledge of the medicinal applications so they can respond effectively to customer demand. Physician Dr. Joel Kailia from the RISE BC Wellness Centre in Nelson believes in a holistic approach to pain management and feels education is key. “We need more programs that can teach potential workers about the risks and benefits of cannabis for medical purposes,” he says. The initial intake of the program begins May 13, 2018. Tuition is $1995 per term ($3990 total). Applications are now being accepted. Learn more about the Cannabis Retail Specialist program.